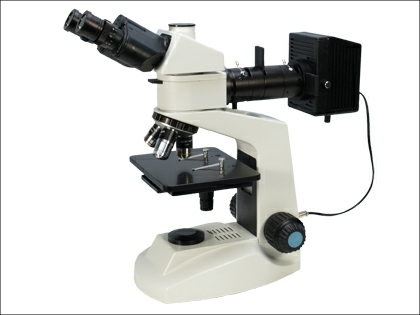 The SP80 Metallurgical trinocular microscope is a professional standard well constructed instrument. The microscope has an epi-illumination system, with rheostat controlled 6v 20 watt quartz halogen system with full bulb adjustment. The epi-illuminator has a field lens and double iris diaphragm with centring adjustment. Full mechanical stage with drop down coaxial controls, double vernier and specimen plate. Low position coaxial coarse and fine focus controls, with graduation for specimen depth assessment and tension adjustment for the rack and pinion Objectives plan x4, x10 and x40 on a triple turret with ball race and internal indexing. Widefield x10 eyepieces. The binocular head has full interpupillary and dioptric adjustment. 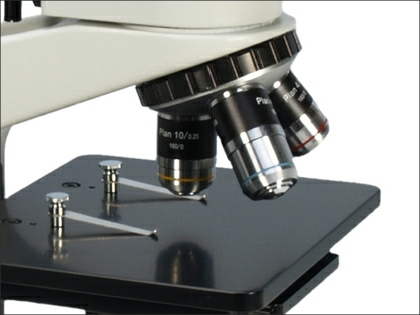 Accessories include additional eyepieces and objectives, photography and CCTV adapters, and measuring optics. The Brunel SP80 is recommended for combining a durable construction, optical performance and a competitive price. The SP80 series has a range of accessories available from our online shop.